As the season rolls on, the text messages thin out, but there's still plenty to keep us occupied with here. The weekend saw the three Eurasian Collared Doves on Lincoln Avenue finally behaving themselves and, though they have been here for several months now, I reckon this was the first weekend when they could actually be called 'easy to find'! This is the first time that this species has stayed for such a protracted length of time at Cape May and (provided they're not all boys or all girls!) it must surely be time to speculate on whether they will stay here and breed now. Perhaps the answer will lie in the weather we get over the winter period. To me, it is certainly interesting that I have not heard a single territorial call out of any of them yet. Along with the collared doves, a White-winged Dove appeared on Saturday too and hung out for most of the day on the corner of Lehigh and Lincoln Avenues. This may be the bird that was on Seagrove Avenue recently, but it appears to now have a chest injury of some sort. 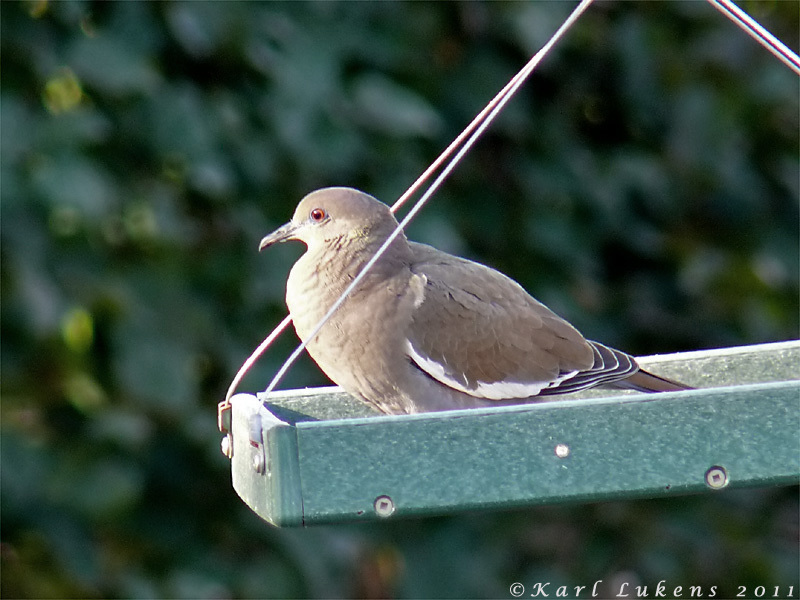 White-winged Dove at Cape May Point on Saturday, looking a little under the weather [photo by Mike Crewe]. Close scrutiny of the White-winged Dove revealed an open injury on its chest (just visible here) [photo by Mike Crewe]. 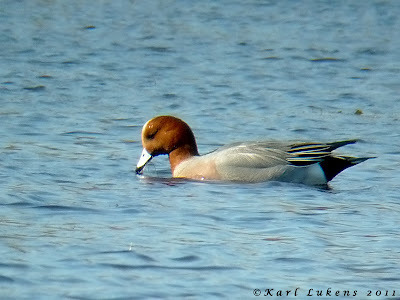 The young male Redhead continued on Lighthouse Pond over the weekend and a female and two male Eurasian Wigeons were also present there. 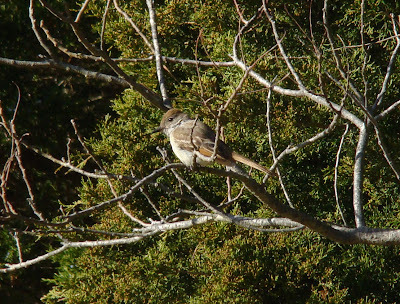 The Ash-throated Flycatcher at Cape Island Preserve continued to at least 26th and the same day saw another one found by Pat Sutton at Woodcock Lane. This location is a nice, walkable section of the Cape May National Wildlife Refuge and is situated on Rte 47 at the small settlement of Dias Creek. Staying with flycatchers, a Western Kingbird was found on 26th at Exit 13 on the Parkway - that's the turn off for Avalon. Ash-throated Flycatcher at Woodcock Lane on the Cape May National Wildlife Refuge [photo by Pat Sutton]. Stone Harbor Point continues to hold good numbers of Snow Buntings, though as ever they can be elusive. 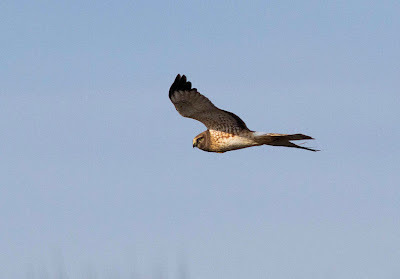 Kevin Karlson reported 80 there on 26th, along with two Short-eared Owls. Late news broke of a Northern Shrike photographed at Thompson's Beach on 27th, while the Avalon Seawatch continues to produce some wonderful birding experiences with another two Black-legged Kittiwakes in the mix this morning and Northern Gannets in large numbers. For me, an interesting sign of the times was that I saw 24 gulls on the South Cape May beach on Saturday and three of them were Lesser Black-backs - a remarkable percentage! 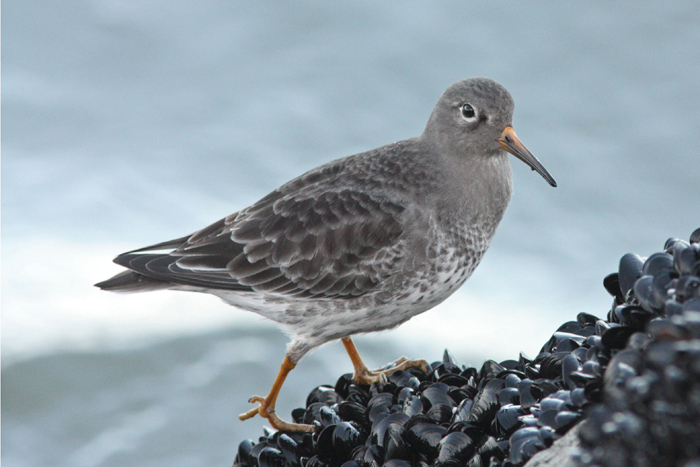 Purple Sandpipers are arriving on Cape May's stone jetties right now - this one was at Avalon at the weekend [photo by Beth Polvino]. Well, Thanksgiving Day and Black Friday gave us some nice birds to be thankful for, the highlight of which was undoubtedly the very obliging Le Conte's Sparrow - though sadly it appears to have been a one-day wonder. 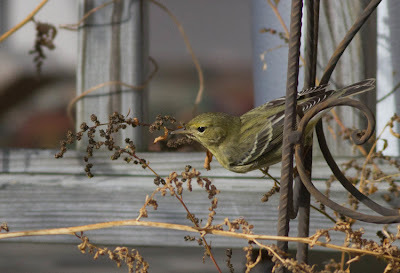 For me personally, Thanksgiving Day also gave me my 160th bird species fror my yard list - an Orange-crowned Warbler, which hung around long enough for photos! It seems to have been a good autumn for the latter species, with occasional reports from a number of sites over the past several weeks. If you are still looking for one, I would suggest checking weedy field edges where there is plenty of seeding goldenrod or Frost Aster; regular sites lately have been Cape May Point State Park, Cox Hall Creek WMA and Cape Island Preserve, but there is plenty of suitable habitat elsewhere too. This morning I tried my luck at St Mary's as there has been something of a trickle of Black-legged Kittiwakes at Avalon of late as well as one seen by Tom Johnson off Higbee's Beach on 22nd. I had no luck with that species but there was a reasonable backwards and forwards of Black and Surf Scoters, a few Long-tailed Ducks, Bonaparte's Gulls and Forster's Terns and plenty of Northern Gannets. Though it was relatively short, there was also a nice overhead movement of American Robins, Cedar Waxwings, Red-winged Blackbirds, American Godlfinches, House Finches and Eastern Bluebirds this morning and a Red-breasted Nuthatch was on Lincoln Avenue, which reminded me that this was only my third one for the fall! 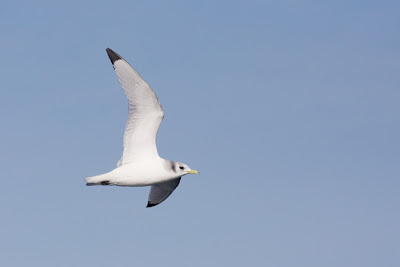 Black-legged Kittiwakes are worth looking for offshore right now. 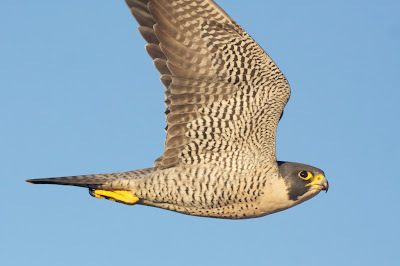 Note the 'dipped in ink' wing tips and dark shawl behind the head [photo by Tom Johnson]. 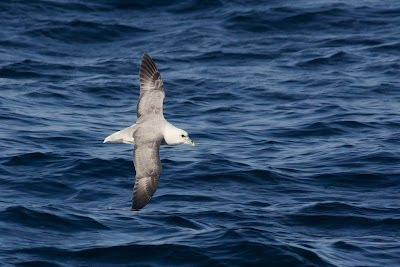 Something of a holy grail at Cape May, this Northern Fulmar was photographed on 19th during an offshore boat trip to the southeast, so was perhaps in Delaware waters. Though this species is commonly seen from land further north in its range, down here they seem to prefer to stay well offshore [photo by Tom Johnson]. The seawatch at Avalon has been remarkable all week - rather than repeat all of Tom Reed's counts, I would suggest you check out his posts on our View from the Field blog. I can't believe that there are any more Red-throated Loons north of us, they must just be sneaking round the back and flying by repeatedly just to annoy us!! 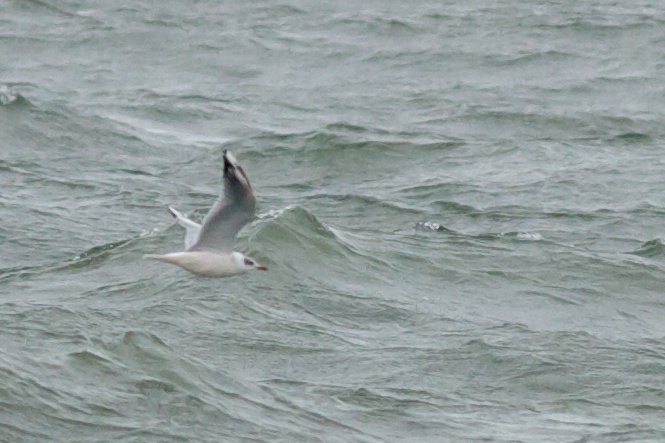 Perhaps the most interesting bird at the seawatch this week (on 22nd) was an odd-looking gull which may well prove to be a Black-headed x Ring-billed Gull hybrid. 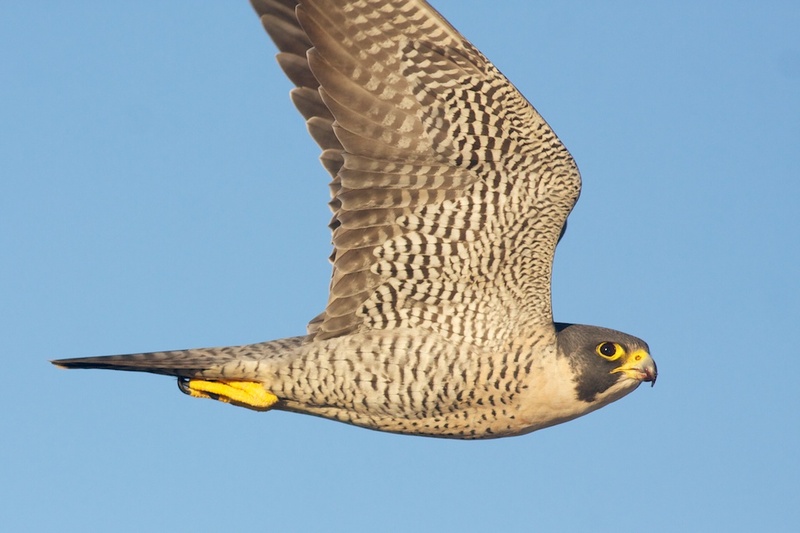 Such birds have been reported before and, though it seems like a weird combination pairing, the features of the bird would support this idea. Stone Harbor Point seems to be holding good numbers of Snow Buntings right now, with a high count so far of 90 on 24th, when a Lapland Longspur was also with them. Up to six Ipswich Sparrows are also at Stone Harbor Point. The occasional single Cave Swallow gets reported from the state park, but so far there has been no notable movement of this species recorded this year. Down at the point, recent reports have also included a scattering of Baltimore Orioles (two up at Del Haven on the bayshore too), a male Redhead and a second male Eurasian Wigeon on Bunker/Lighthouse Ponds on at least 24th and 25th, and a Short-eared Owl flying offshore on 24th. The above two photos show the odd gull off Avalon on November 22nd. 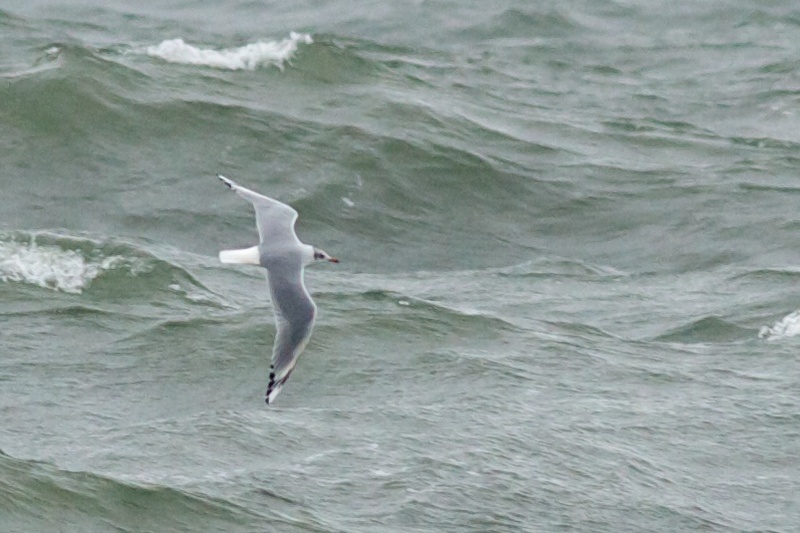 The overall appearance is of a Black-headed Gull, but note the darker upperparts, extensive dark smudging on the head, the slightly heavy-looking bill and that odd, dark streak towards the tip of the outer primaries [photos by Tom Johnson]. Finally, I hear that the highly elusive Ash-throated Flycatcher was re-found at Cape Island Preserve this morning (26th). 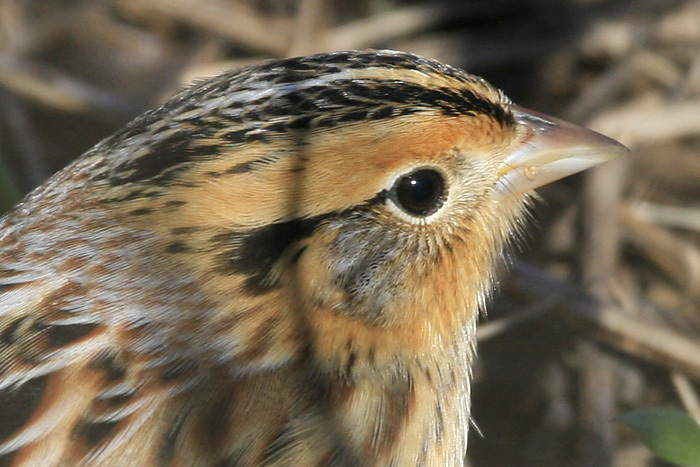 This morning, Chris Vogel found a Le Conte's Sparrow at Higbee Beach that remained in the same spot all day long. The bird was in southwestern corner of the the northeastern-most field at Higbee - if you need a map, there's one below. The sparrow was hanging out in the grass along the path, marked on the map with a green arrow. This bird, very rare in Cape May, is extremely secretive but is confiding once located. Map showing the location of the Le Conte's Sparrow at Higbee Beach (marked by green arrow). This is only a few hundred feet south of the parking lot at the west end of New England Rd. in Cape May. Leaves falling from the trees is the one big sign that autumn is waning and that means that winter is not far away. But what is the first real sign of winter for you? For me here at Cape May, it's hearing a strange, chattering noise outside, somewhere around 8:30PM, well after it's dark. Even over the sound of the music I'm playing it's audible. Then I remember the date - it's the second half of November. It's not yet another group of beer-laden youngsters heading down to the canal woods, it's the first serious movement of Snow Geese passing over the point. And last night was a serious movement! Snow Geese were calling overhead in the evening later on when I went to bed; I awoke to their sounds a couple of times in the night and they were calling overhead when I got up for breakfast this morning. Indeed, skeins were still heading south as I checked the bay off Sunset Beach before work this morning. Snow Geese over the Delaware Bay today - I think they're trying to spell out a message.... [photo by Mike Crewe]. Though so far it is only a small sample size, I couldn't help notice very few youngsters amongst the Snow Geese that I've seen this November. Of course, geese are relatively long-lived for birds and the odd poor season is not the end of the world, but it is worth getting into the habit of keeping a record of the percentage of young birds in a flock as a longterm guide to the health of the species. Arctic breeding birds have a cycle which centers around the boom-and-bust years of lemming populations. When lemmings are abundant, predators such as Arctic Foxes and jaegers feed on them, which means the goslings get left alone (they're harder to catch, usually because of the protection of their parents). In poor lemming years, goslings are top of the dining list! In the UK, these predater-prey relationships have been studied closely for some years and good breeding seasons for Brant, for example, are often apparent when the birds arrive to winter there from Russian breeding grounds. In poor lemming years, there is also often an earlier-than-usual passage of skuas as they head south to find better feeding areas (which usually means hassling Sandwich Terns along the UK coastline!). The Avalon Seawatch also offers a great insight into the advance of winter, as Double-crested Cormorants are replaced by loons, and scoter are replaced by Long-tailed Ducks and Common Eider. This past two days, the seawatch has been truly spectacular and I was glad to have been there Monday afternoon and helping to count the total of 16,851 Red-throated Loons that we counted passing south - a new day record for the CMBO Seawatch. Check out Tom Reed's report of the events on our View From The Field postings. And yes, they were pretty much all counted, as groups were not big enough to have to estimate numbers, but continued pretty much non-stop all day at around 2,000 birds per hour on average. Now that is Migration Magic!!! Other news from the past few days: The Nature Conservancy's Cape Island Preserve has been in the news since the Ash-throated Flycatcher showed up there on Friday and stayed - somewhat elusively - to at least 21st. Visitors there also added Orange-crowned Warbler and Vesper and Grasshopper Sparrows, while Melissa Roach reported a Yellow-billed Cuckoo there this morning. This preserve doesn't get mentioned too much by us, but it is for a reason. There are no visitor facilities there and there is almost no parking so it's not an ideal place to encourage great numbers of people to. However, a small trickle of folk is manageable and the site is accessed at the east end of Wilson Street, off Seashore Road just north of West Cape May. One or two Purple Sandpipers and Great Cormorants can now be found at favored sites; the former at stone jetties anywhere along the coast, the latter most recently at Lake Champlain in Villas and on the concrete ship. A late Least Flycatcher at the state park on 19th caused a few hearts to flutter temporarily with thoughts of Dusky Flycatcher, but it wasn't to be it seems. 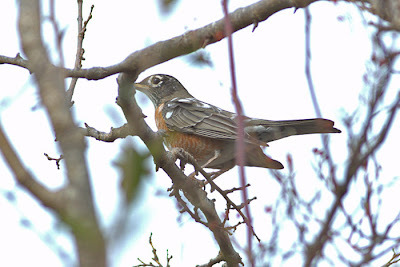 One or perhaps two Cave Swallows graced the Hawkwatch area over the weekend and reports of good bird numbers at Cox Hall Creek WMA included Red-headed Woodpecker, Orange-crowned Warbler and plenty of Eastern Towhees - the latter also showed up at my feeder, along with a female Purple Finch. Returning where we started, with winter birds, Tom Johnson reported a Black-legged Kittiwake flying north off Higbee's Beach this morning, while a couple of evenings ago, I took one of my regular strolls down to Higbee's Beach at dusk and counted 15 American Woodcock whirling around against a setting sun. There's birds out there - let's go birding!! Yes, it's that man again - Jimmy Dowdell, taking his dog for a walk and finding the first Ash-throated Flycatcher of the year south of the canal. I wouldn't mind so much if it wasn't for the fact that the rest of us have been tearing the place apart looking for one for weeks! 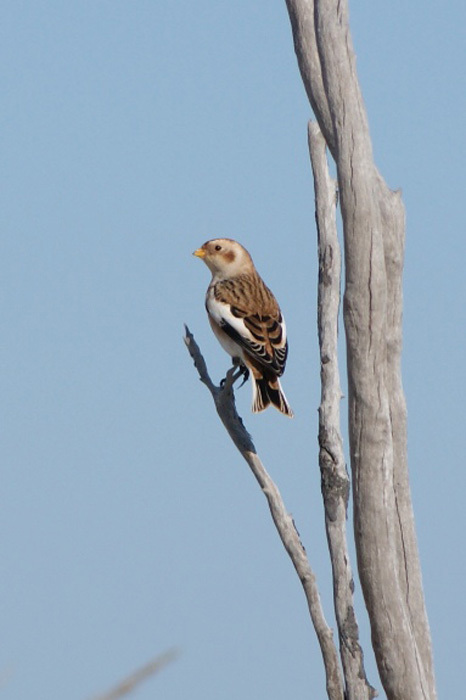 Today's bird graced the western edge of The Nature Conservancy's Cape Island Preserve. This is a smallish tract of land, accessed from the east end of Wilson Street, off Seashore Road in West Cape May. If you go looking for this bird, please note that there is no parking area here and just a small amount of room for on-street parking. Among other news this last couple of days, Cedar Waxwings, American Robins and Eastern Bluebirds continue to flock around the point and provide a fabulous spectacle. Best numbers seem to be around the state park and Cape May Point itself, as well as in the open areas around Cox Hall Creek WMA. Three Eurasian Collared Doves continue around Lincoln Avenue at the point and reports of single Nashville Warblers have come from the state park and Cox Hall Creek, with Blackpoll Warbler also still lingering at the state park and an Orange-crowned Warbler at Cape Island Preserve today. One or two Purple Finches are starting to turn up at local feeders now, after a few days of high-flying birds overhead. Continued diligence at the Hawkwatch Platform today produced five species of swallow (Bank, Cave, Tree, Northern Rough-wing and Barn) and a passing Golden Eagle, while Bald Eagles continued a presence at several sites - at least three could be seen over The Beanery at lunchtime for example. The Rufous Hummingbird was still present at CRE, Goshen today and Bob Fogg reported a Clay-colored Sparrow at the Schellenger Tract off Bayshore Road in Del Haven. The Seawatch at Avalon continues to produce daily good sightings at the moment and I'm indebted to Tom Reed for keeping me kept up to date on sightings there. At least two King Eiders, three Razorbills, Black-headed Gull, two Red-necked Grebes, White-rumped Sandpiper and Marbled Godwit have all been logged in the last three days and large movements of Ring-billed Gulls and Northern Gannets have been enjoyed. 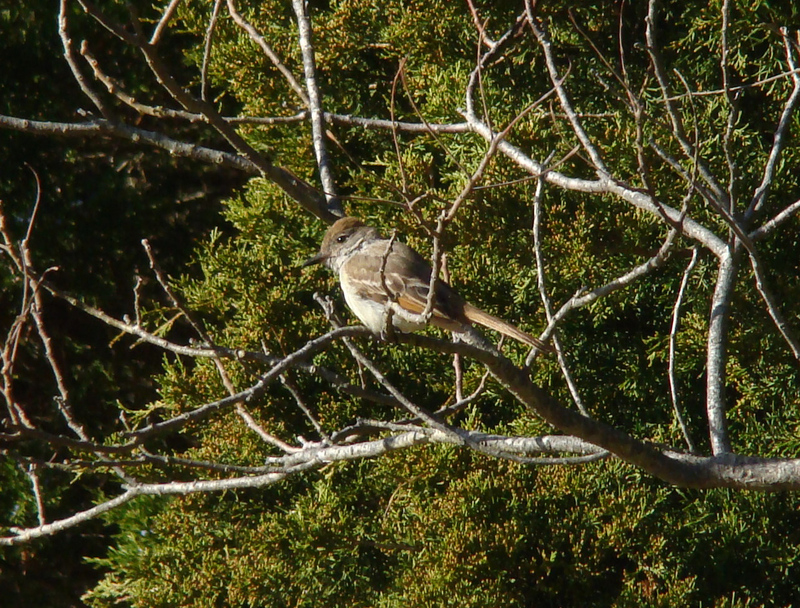 Ash-throated Flycatcher at Cape Island Preserve. For east coast birders used to bright yellow Great Crested Flycatchers, this can often appear a rather drab species [photo by Mike Crewe]. Bank Swallow - one of an impressive list of five species of swallow at the Hawkwatch Platform today [photo by Tony Leukering]. The wonderful flight of Cedar Waxwings continued today, though in lesser numbers than yesterday. Check out this link on youtube which Jenny Isaacs sent me. It was taken in Avalon and shows a wonderful gathering of Cedar Waxwings, coming to drink at a broken water pipe. 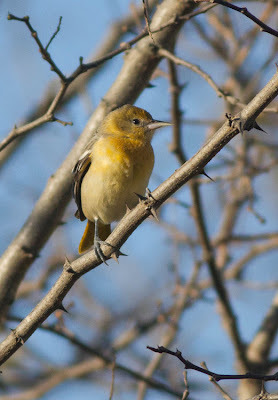 Our Wednesday morning walk saw several hundred birds wheeling around the state park, along with American Robins, European Starlings, Brown-headed Cowbirds and smaller numbers of Eastern Bluebirds, Yellow-rumped Warblers, Common Grackles and House Finches. Four Tundra Swans were noted (one on the Plover Ponds - which as been around for a few days - and three flying over) and a juvenile Bald Eagle was hanging out on the beach scaring all the Great Black-backed Gulls - about time someone did that! Just after the walk, single Blackpoll and Nashville Warblers and a Red-breasted Nuthatch were by the Hawkwatch Platform. Ducks continue to be the main attraction at the state park right now and those who have been on my recent walks there will know that I like to use the white belly on a female Gadwall as a nice feature that separates them from the rather similar female Mallards. This photo, taken from the Hawkwatch Platform shows that feature very nicely in a great action shot taken by Tony Leukering. The great thing about skunks (yes, I really did write that!) is that their eyesight is pretty poor so you can stand six feet away from them and they don't even seem to know you are there - though I wouldn't recommend suddenly startling them! Striped Skunks are very variable in color and this one is well towards the whitest end of the spectrum of variation. Last night I saw the complete opposite in Cape May - a skunk that was completely black but for a tiny white tip to its tail! November - a time to be out there! There's certainly a feeling that 'the season' is over at Cape May on the last day of October; the tourists and birders finally drift away, CMBO's program of walks and events starts to wind down in earnest and it can be tricky finding somewhere to eat out during the week. And yet those of us who live here know about - November! It's an exciting time; every songbird you see might be your last one of that species for the year - unless it's an incoming Snow Bunting, then it's even better - your first-of-season! Ducks are pouring by offshore, along with Northern Gannets and a scattering of loons and grebes and there's always that slight chance that you are going to find the big one! That major rarity that puts your name into the record books for all time! 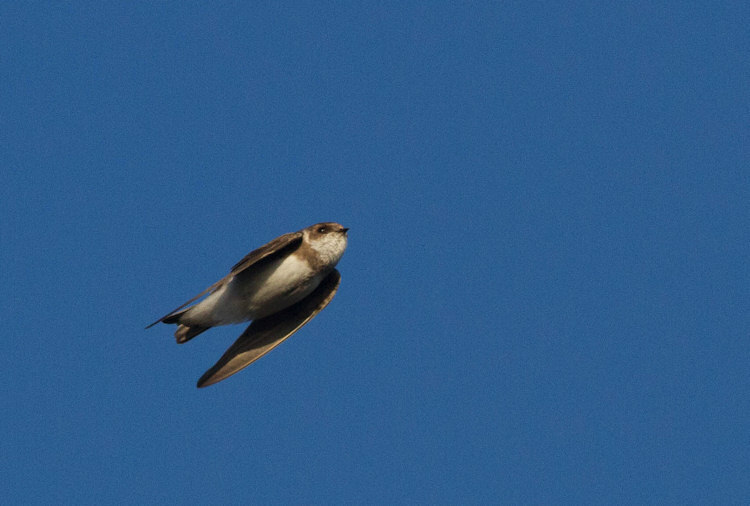 Today is one of those other outstanding November days; no rarity outside my window, but a major migration event. Pretty much right from the moment I got up this morning, there's been a high-pitched ringing in my ears. No, not tinitis, but the calls of Cedar Waxwings, and I can still hear them now, hundreds of them, right outside the office window, laying into every berry bush and tree they can get to. On a fairly quick walk round the state park and a short drive past Lake Lily I reckon I set my eyes on some 5,000 Cedar Waxwings. I'm told that flocks are scattered throughout the county as far north as Goshen at least, along with similar numbers of American Robins. Just being out there is truly spectacular right now. So what's been happening these past few days? Well, the Avalon Seawatch - as might be expected - has been producing a lot of good birding with highlights including three Red-necked Grebes on 12th and the same day producing a fabulous passage of Buffleheads, Green-winged Teal and Greater Scaup. So far today, the highlight there has been a fabulous inshore movement of Northern Gannets - and an American Coot on the sea. The latter is more interesting than it may at first seem, since most coot species really don't seem to enjoy saltwater at all and seeing one on the open sea is not a common event. Still on November 12th, a dapper male Eurasian Wigeon turned up on Lighthouse Pond and is still currently present and well worth seeing, three Snow Buntings on South Cape May beach increased to eight this morning and three Baltimore Orioles were seen on a single lot on Lincoln Avenue at Cape May Point. The same afternoon, a male Wilson's Warbler was on the north side of 6th Avenue in West Cape May and two Fox Sparrows were the first-of-season for the Northwood Center. Highlights on the 13th included a Rose-breasted Grosbeak at the state park, two Short-eared Owls at Jake's Landing and a flock of 80 Snow Buntings at Stone Harbor Point. The two or three Eurasian Collared Doves are presumably still present at the point, but there has been no report of the White-winged Dove since November 12th. Hummingbirds remain in the news with a Ruby-throated in Villas on 13th, while the New England Road bird has so far refused to give itself up totally to the identification brigade, though Rufous seems most likely. Single Cave Swallows were reported on 14th and 15th and single Nashville Warblers on the same two dates. My own House Sparrow flock in the side yard attracted two adult White-crowned Sparrows on 13th and a Dickcissel on 14th. 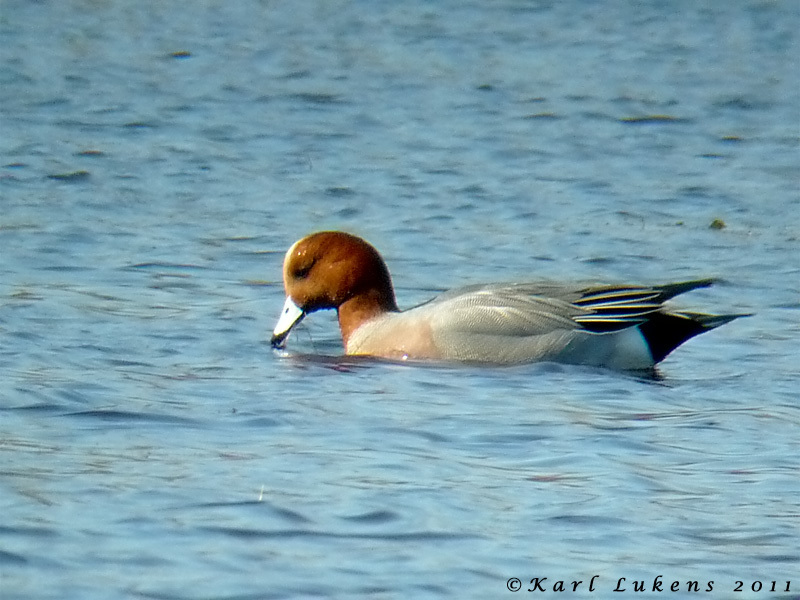 This smart, adult male Eurasian Wigeon can currently be found most reliably on the west half of Lighthouse Pond. At least one female remains (seemingly paired to a local!) but tends to commute between Lighthouse Pond and Bunker Pond, making it tricky to pin down sometimes. 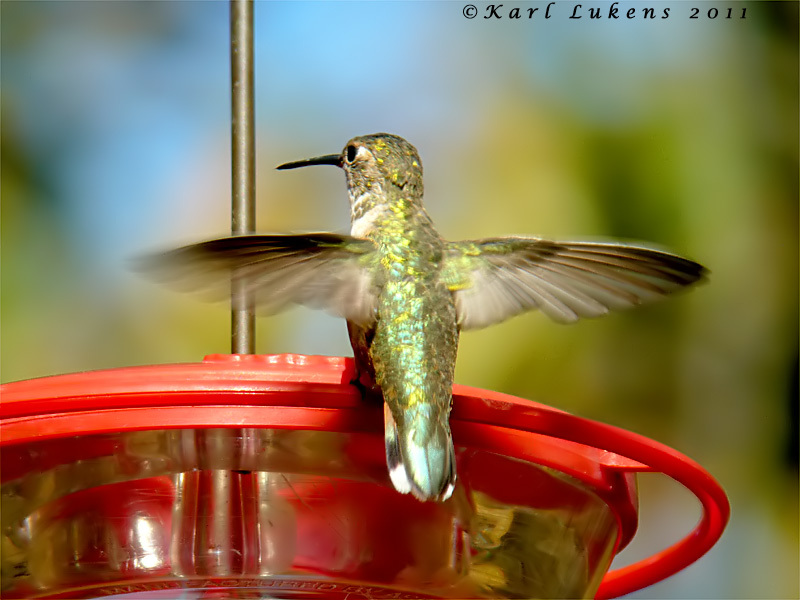 Karl Lukens did a good job getting this shot of the Selasphorus hummingbird on Cape Island - here seen at Foster Avenue. The appearance of molt in the upperparts and the pattern on the cheeks seem to suggest that this is an adult female rather than a young bird. The rufous at the base of the tail (which rules out Ruby-throated) can be seen here, while that white-tipped outer tail feather looks pretty broad and may be enough to rule out Allen's but perhaps not the highly unlikely yet not impossible Broad-tailed Hummingbird. This bird is still present today. One of three Baltimore Orioles found together at Cape May Point by Chuck Crunkleton on November 12th [photo by Tony Leukering]. Snow Buntings are putting in a good showing at the moment. 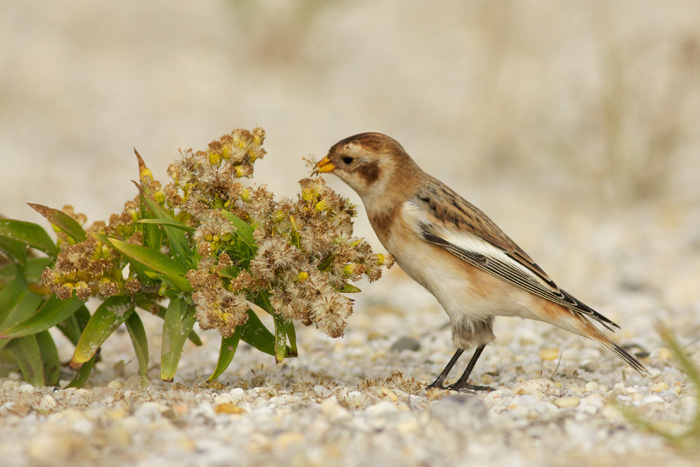 Tom Johnson captured these two images of a bird feeding on Beach Goldenrod seeds at South Cape May Beach on November 6th. House Sparrows may not be popular, but if you have a resident flock in your yard, they may well bring in a few strays for you! 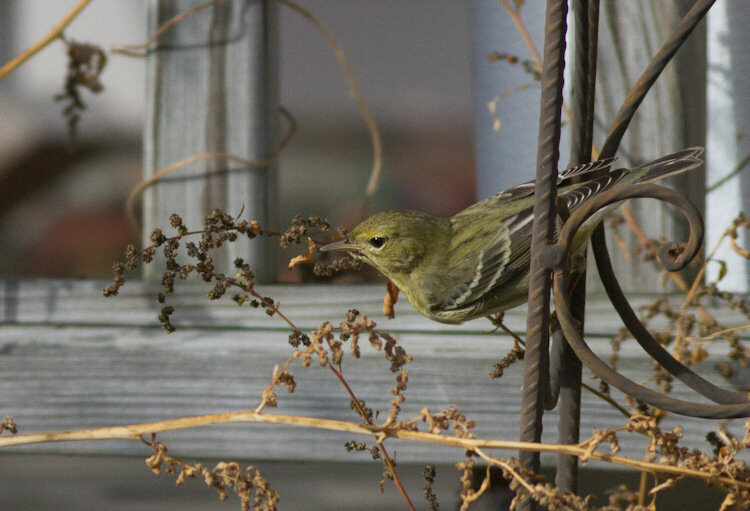 This Dickcissel appeared in my own yard on 13th [photo by Mike Crewe]. Cape May Hot and Cold! It's been a strange few days since my last post here at Cape May; Wednesday saw a wonderfully calm and warm, sunny day with temperatures reaching 70F, while today (Friday) the trees are thrashing around in a pretty chilly north-west wind and it's really not that pleasant out there! Wednesday's warm weather was perhaps best demonstrated by Will Kerling who managed to find 11 species of butterfly around Cape May Point that day - here's his list: American Snout, White-M Hairstreak, Common Buckeye, Monarch, Sachem, Fiery Skipper, American Lady, Red Admiral, Questionmark, Small White, Orange Sulphur. The first two are particularly remarkable, especially the snout, which one would not normally expect to see here past August or early September, yet this was a fresh individual. In addition to the butterflies, Will has been finding late dragonflies and damselflies in the area, with his November list so far including Green Darner, Carolina Saddlebags (I have heard of a Black Saddlebags from Melissa Roach too), Yellow-legged Meadowhawk (Jimmy Dowdell also reported a Blue-faced Meadowhawk to me), Citrine Forktail, Rambur's Forktail and Familiar Bluet. 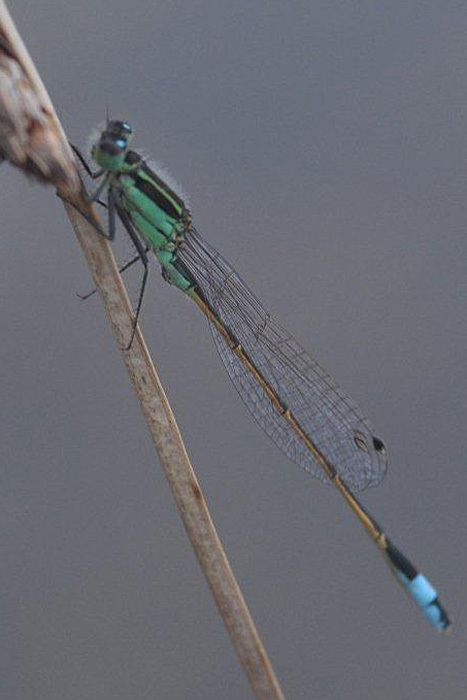 While the larger dragonflies will be southbound migrants, the smaller damsels probably hang on as long as they can until a particularly nasty frost finishes off either them or their food supply (and thus them indirectly!). 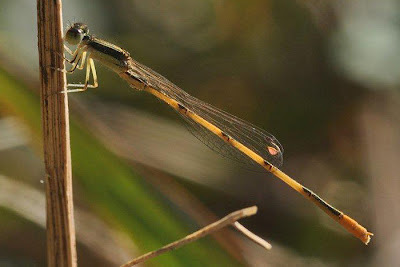 Citrine Forktail at Cape May Point on November 2nd - another individual was seen on November 3rd [photo by Will Kerling]. 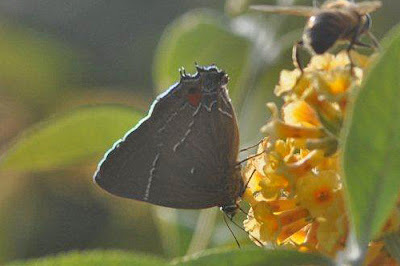 A very fresh-looking White-M Hairstreak on Lighthouse Avenue on November 9th [photo by Will Kerling]. Male Rambur's Forktail at Cape May Point on November 9th [photo by Will Kerling]. And so to the birds of the last few days; several 'stayers' continue to be reported including at least three of the Eurasian Collared Doves around the general area of the eastern end of Lincoln Avenue, the White-winged Dove on Seagrove Avenue (though not reported today) and a surprising number of Blackpoll Warblers - I saw three today without trying! American Coots remain in three-figure numbers around the ponit and several reports of small groups of Tundra Swans filtered through today. Up to three American Moorhens have been reported on and off at the state park since 7th and American Bitterns continue to show really well on occasion - including one that we saw swimming on one of the open channels on our Wednesday morning walk! 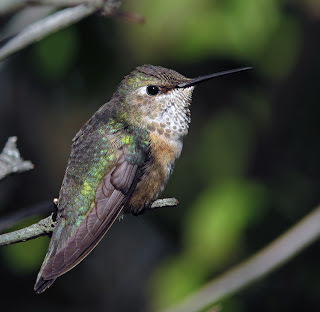 The Rufous Hummingbird continued at least until 10th at Goshen and an as yet unidentified Selasphorus hummingbird was reported on New England Road, just south of the canal on 10th and was still present today. One of the hottest reports of the week came from Jimmy Dowdell, who found a Sedge Wren that stayed for at least November 9th and 10th at the south end of the west field at Hidden Valley, off New England Road. There was also an American Tree Sparrow there on 9th. A good movement of Ring-billed Gulls off the Seawatch at Avalon produced a report of a California Gull heading south - now there's something to look for tomorrow! Tom Reed also added an adult Little Gull heading south with Bonaparte's Gull at the same location. Finally, nice to see that Higbee's Beach was being checked this late in the season, with Bob Brown reporting a male Black-throated Blue Warbler as well as a good-sized feeding flock of American Pipits in the Rye that has been sown in the first field. Plenty of birds around to be found and, with a Snowy Owl now lurking up in Warren County in North Jersey, who knows what might pop up this weekend - get out and enjoy it! So far, we are seeing a typical November, with late fall migration continuing and the arrival of winter birds - and all sprinkled now and again with a wanderer from some far off, distant location. The ponds at the point continue to fill up with ducks, though for some reason the two female Eurasian Wigeons don't appear to be drawing the cameras in quite the way that the males did last year!! I'm calling them females as they appear to both be paired with male American Wigeons, but as their molt continues this month, we'll see what happens! The Avalon Seawatch continues to produce pretty much all of the sightings away from the immediate Cape May Point area at the moment, with Tom Reed reporting some pretty spectacular scoter movements this past week - check out some of the day count figures on our View From The Field blog and you will see what I mean! As well as late fall birds, there's a push towards the winterers now too, with Tom today reporting the first Black-headed Gull of the season, pretty much in line with the five Snow Buntings first seen at the point on 6th and still present on 7th at least, along with an 'Ipswich' Savannah Sparrow. Stragglers from the fall also always feature during November and occasional reports of Yellow-breasted Chat (to 7th at least), Baltimore Oriole (7th), Blackpoll Warbler (8th) and Blue-gray Gnatcatcher (in my yard on 7th!) continue to filter in, while both kinglet species are readily found around the point still. Despite being present for several days, the Rufous Hummingbird at our Center for Research and Education at Goshen has generally been rather flighty and camera shy, so Kevin Bolton did a great job in capturing this image of it. Though the critical tail features cannot be seen here, Ruby-throated can be ruled out by the extensive rusty wash to the flanks. This bird is still present as of today. Karl Lukens won the latest round of the pigeon lottery with this White-winged Dove which initially was seen along the dunes at The Meadows, then at the Hawkwatch. This individual is currently being seen along Seagrove Avenue, either on roadside wires, or in Karl's feeder tray! 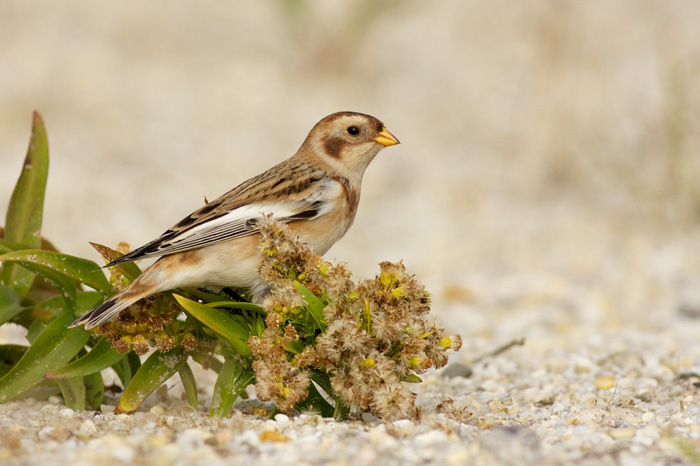 Singletons and small parties of Snow Buntings are turning up at coastal sites now, brightening many a chilly, morning stroll this bird was just north of Millman Boulevard in Del Haven on 7th [photo by Peter Bosak]. American Bitterns have been passing through Cape May Point in good numbers this fall and a few continue to be reported from local ponds. 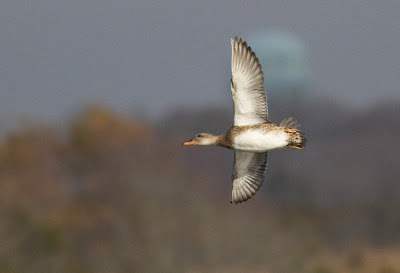 This bird drained the batteries of several Canons and Nikons at Lighthouse Pond this morning as it hunted right alongside the boardwalk near the viewing platform on the red trail [photo by Mike Crewe]. Owls are a tricky topic at Cape May; they benefit best from not being disturbed at daytime roosts, but have a sneaky habit of being out and about when we are not, ie, after dark! Whilst we do not publicize the whereabouts of owl roost sites, you can sometimes get lucky if you just remember that November is a great month for owls and migrants may be active at dusk. If you are down this way during early November, it is always worth checking at the Northwood Center to see if the owl banders are offering any viewing opportunities. Above is a photo of my lifer Northern Saw-whet Owl, proudly being held by owl-bander Katy Duffy [photo by Mike Crewe]. Most people will know by now, but I wanted to wait, just to be sure - our Brown Booby has finally left us. She was first spotted in Jarvis Sound in a blaze of glory, sitting atop the now-famous channel marker number 475 in glorious sunshine on August 20th. A wonderful apparition in brown and white with sassy, pale yellow feet. Panic ensued; we all had to rush over there as soon as possible to catch a glimpse before this exceptionally rare Cape May bird departed. Queues formed for boat trips out into the sound; Two-mile Landing did rather distant lip service for those without the time for a boat trip. Then everything calmed down; the bird stayed. She (for those face markings make this a she) became part of the scenery, became chummy with the local Double-crested Cormorants and moved back to hang out with them on some nearby wooden pilings. We could all relax, go back for better views, better photo opportunities. "AND SHE'S OUTTA HERE! This morning's totally awesome trip was highlighted by a meeting with a very determined looking Brown Booby passing us, going under the Two Mile Bridge and heading out towards the inlet and the Ocean. Apparently all the white slippery stuff associated with this morning's hard frost might have finally turned on a light bulb in our hopefully former resident booby's head that there are some differences between Jarvis Sound and The Caribbean Sea. Tell your friends in the Carolinas because I think she's on her way. She was not seen in the remainder of that trip or on the afternoon trip." "Assuming she doesn't show again it couldn't be a cooler ending. She didn't just disappear. We were coming in from the inlet and she came down past the fishing boats in an area we had never seen her, went straight under the bridge past the dredge and headed straight out the inlet. We turned around and went back under the bridge up to the turn marker and looked in all directions but saw nothing. Ditto for all of her usual haunts in Jarvis on that trip and the next trip." Though this was the first ever 'twitchable' Brown Booby in Cape May County, she probably never really achieved the heady status of our Ivory Gull of two years ago. Yet she gave great pleasure to so many and channel marker 475 (and sometimes 473!) will long be remembered for its famous visitor. Much thanks goes out to the captains of The Osprey and The Skimmer for keeping us updated on Bebop's presence and whereabouts and for ensuring people got great looks while respecting the bird's personal space. Oh, you may be wondering why she became known as Bebop... Well, on a number of occasions, folks using predictive text on the phones discovered that the four-letter banding code for Brown Booby - BRBO - would get changed to Bebop by their not-so-smart smart phones - so Bebop it is! With Hallow'een only just behind us, we'll finish with a photo from Ginny Powell of The Skimmer - Bebop with a full moon. After a fall without Western Kingbirds, there have been two photographed at Land's End in the last week. Today, one spent all day hawking insects and eating fruit along Sunset Boulevard in the vicinity of 616 Sunset (just east of the intersection of Sunset and Lighthouse Ave). This bird was originally found by Mike Maurer this morning, and remained cooperative for many to see. 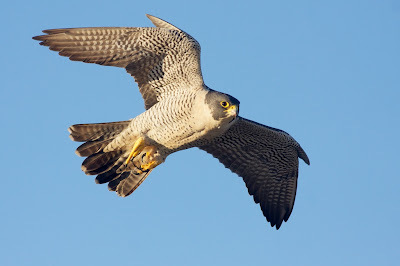 Here are a few photos of interesting birds of the last few days. On November 1st, Vince Elia found a pale-lored adult White-crowned Sparrow at the hawkwatch at Cape May Point State Park, and yesterday (November 2nd), Melissa Roach located a White-winged Dove that ended up flying right over the hawkwatch platform and perching in the open for a good view before disappearing to wherever vagrants go. Here are some photos with a bit of discussion on the sparrow. The White-winged Dove showed us what it's working with just before it disappeared at Cape May Point State Park yesterday morning. This adult White-crowned Sparrow is a candidate for the subspecies gambelii (Gambel's or West Taiga White-crowned Sparrow). The pale gray lores and small, orange-ish bill are suggestive of a "different" White-crown: the standard local birds are of the subspecies leucophrys with pinkish bills and black interruptions in the lores. The problem with calling such a bird a Gambel's White-crowned Sparrow outright is that there is lots of intergradation between breeding gambelii and leucophrys along Hudson Bay (one of the reasons these taxa aren't split out as separate species is that they freely interbreed where their ranges meet) - indeed, this bird's bill had some ambiguous pink tinges, and there was at least some suggestion of small bits of black in the lores, especially when its head feathers were fully flared out. Anyway, this is probably an unsolvable problem at the moment, but we can feel confident with at the very least calling it a White-crowned Sparrow with characteristics of Gambel's White-crowned Sparrow. David Sibley has some more extensive discussion of White-crowned Sparrow identification on his website).